Betsy Jensen is a Farm Business Management Instructor at Northland Community and Technical College in East Grand Forks, MN. She works with farmers in the Red River Valley of the North, and along the Canadian Border. 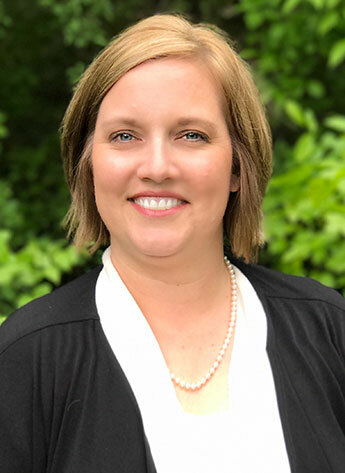 Betsy received her undergraduate in Agricultural Economics from North Dakota State University and her M. Ed in Agricultural Education from the University of Minnesota. A former commodity broker, Betsy enjoys working with farmers on crop marketing, and authors “Taming the Bulls and the Bears” in Prairie Grains magazine. She often works with groups of farmers on crop marketing and budgeting. Betsy also farms in Stephen, MN where she raises wheat, barley, corn, soybeans, sugarbeets, and navy beans. Her family also operates Jensen Seed Company where they condition wheat, barley and soybean seed. Outside of work, Betsy serves as the Stephen/Argyle School Board Treasurer, and is an EMT with the Stephen Volunteer Ambulance Service. She and Brian have 3 kids, Conner, Holly and Carrie, which keep them running to school musicals and sporting events.